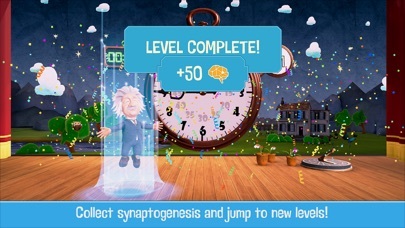 Play with History’s Greatest Minds! 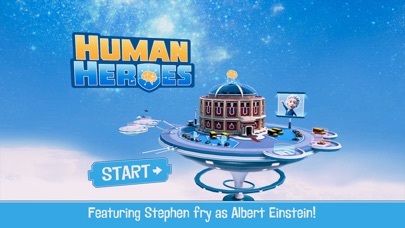 This app brings back to life the most iconic figure in the history of science: Albert Einstein. 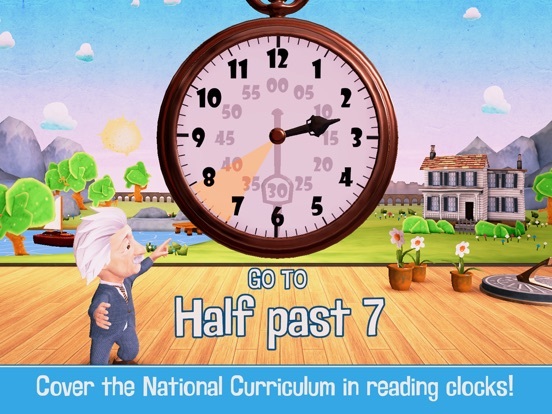 Through a collection of exciting mini-games, interactive stories and various other activities, kids will learn how to tell the time (a National Curriculum learning area), experience the passage of time and understand the nature of time itself and how it’s affected by speed and gravity. In this revolutionary educational experience, you have the opportunity to be taught by the creator of the theory of relativity himself! 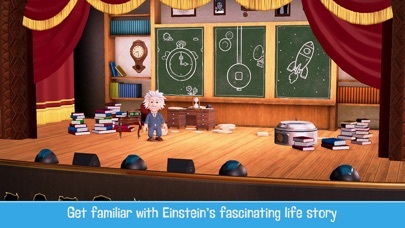 Presented as an interactive 3D character, a dancing, quirky Einstein will be your very own personal tutor; guiding you through the various games, helping you when you struggle, and telling you jokes. You can even ask him questions about his life and his scientific achievements! - Four apps in one: Four different stages that focus on different learning areas. - A realistic live-show experience: High quality visuals and dynamic speech system complimenting the luxurious voice performance by Stephen Fry. 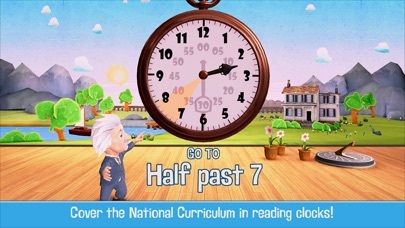 - Master reading the clock: Covering a Key-Stage National Curriculum area, the first stage is broken into 17 different levels where players will learn to tell the time in different configurations: O'Clock, quarter and half, past and to, AM and PM, 24 hour format, and even clocks with Roman numerals! - Scaffolding teaching techniques used throughout. 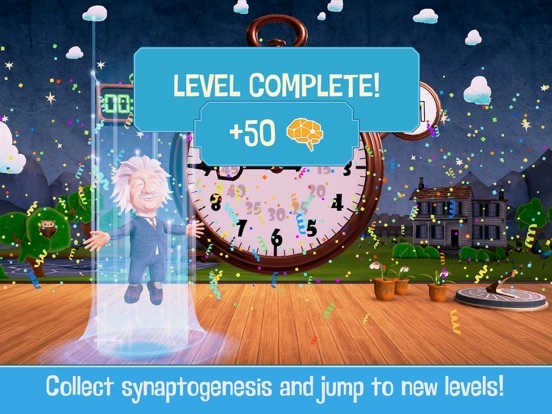 You are sure to succeed as Einstein steps in with on-screen visual and verbal help when you struggle. - Regular jokes and trivia at different times of the day. - Travel through time by moving the clock hands backwards or forwards and witnessing the effects of time on the succession of day and night. - ‘Hear’ the effect of time passing: With our time machine, you can speed time up or down and listen to how it affects sound waves. - Meet Einstein’s violin friend: Lina and control his playing. - Learn about different types of clocks. - Learn about rhythms and pendulums: get the timing right or risk throwing poor Albert off the pendulum! - Can you wait accurately wait for 10 seconds? 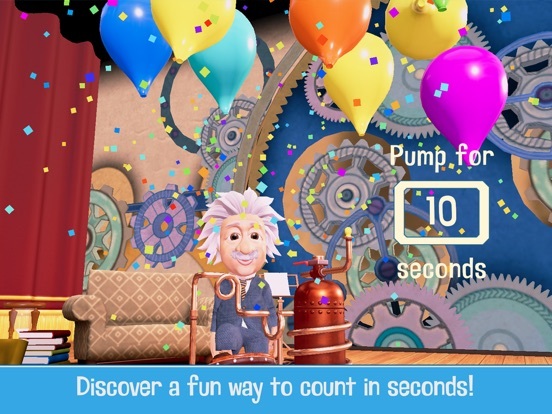 Learn to be patient and how to count in seconds and fill the stage with coloured balloons. 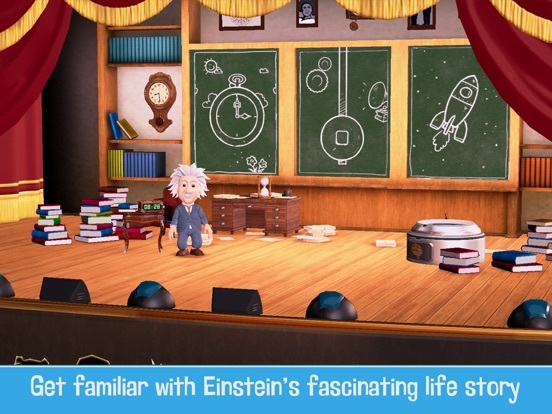 - Get familiar with Einstein’s fascinating life story, his hobbies, discoveries and what inspired him to create the theory of relativity that revolutionized modern physics. - Become a relativity expert. - Learn all about the famous twin paradox in an unprecedented simplification and gamification approach. 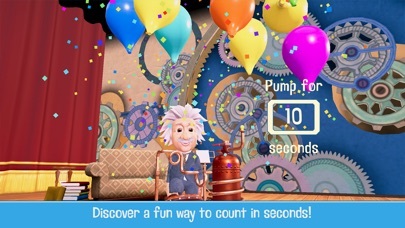 - Control a broken lift and discover the relationship between gravity and time! - Become an astronaut and control a space rocket while exploring the relationship between speed and time! - Break the laws of physics and turn a rocket ship into a blackhole! - Audience Q&A: With loads of different questions you can throw at Einstein you will learn about the philosophy and science of time and finally understand why Einstein’s hair is so messy and why he never wore socks! All facts and figures have been rigorously checked and researched by subject matter experts to ensure scientific, historical and biographical accuracy. 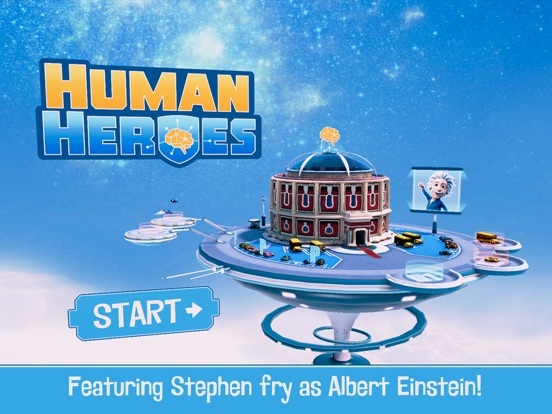 ‘Einstein on Time’ is the first in a children’s educational app series – “Human Heroes” - Created by edtech startup, KalamTech and centred on history’s greatest minds. From the philosophers of ancient Greece, to the giants of science, renowned artists, composers, mathematicians, authors and architects – these inspirational characters are brought back to life in a futuristic theatrical setting to perform a captivating live-show experience covering their life and their famous works. Forthcoming apps will explore the legacies of Isaac Newton, Marie Curie, Mozart, Ada Lovelace, Aristotle, Jane Austen and many more. More assistance with tricky Telling the Time levels!